100% recommended for delivery to Italy. Price are ok if you think that collection and delivery are included, you've got also the option to bring your parcel at the depot but the price sometimes are the same as the collection price. Absolutely satisfied and happy . 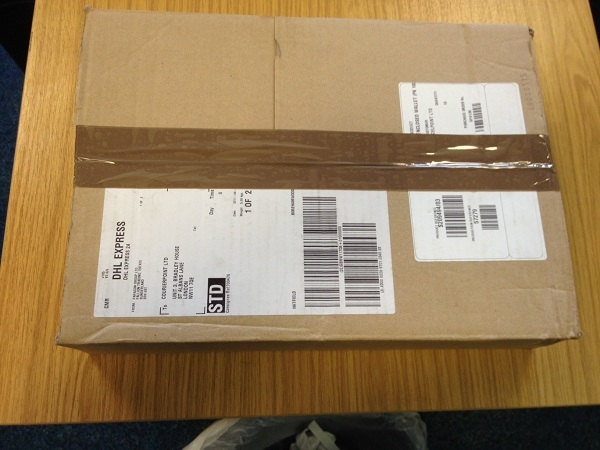 Sent a 61cm cubed package of christmas gifts weighing 15kg for approx £50 including insurance. picked up on monday, delivered on thursday. package complete no probems. will definitely use again and would reccomend to others. Amazing, cheap and quick service! Package delivered from London to Italy in no time, as it was picked up on Friday afternoon and delivered on Tuesday morning. I will never travel with heavy suitcases anymore, thank you so much for this great service! THE PARCEL WAS PICKED UP MIDDAY FROM DARLINGTON NE ENGLAND AND IT WAS DELIVERED IN MILAN ITALY BEFORE 10am THE NEXT DAY I WAS STAGGERED. I WILL USE COURIERPOINT REGULARLY FROM NOW ON. Reliable, professional and secure; very good value, for not much money. Outstanding in Every Aspect. Have tried a few by far the Best. I have used a few different third party courier companies over the years and then stumbled, just by accident onto Curierpoint. It was very straight forward on the booking side of things. I sent an expensive toy toy car to a slightly remote part of Italy. By far the cheapest for my particular needs insurance etc. Although I have not needed to contact them. I like the fact that you can speak to someone over the telephone. I will definitely be using them from now on. 100% Recommended. When I saw couriepoint on the Internet , I wasn't really sure what to expect . But everything started falling in place , from the collection and the delivery to Italy , I was able to track every point and was very impressed not only the brilliant service but the best price in the market . I highly recommend them to anybody who expects a quality and prompt service . I had to sand 40 KGs divided in 3 boxes to Italy. Everything went smooth from gathering all the information that I need from the customer service to the booking. From the collection to the delivery. To be honest I did't check the boxes yet (still in UK while I am writing) but I assume it is hard to mess with book, shoes and clothes. I must say also that I picked a quite expensive option (1 day delivery operated by FedEx) for two reasons: the first is because strangely when I wanted to book I wasn't presented with many options (which surprised/disappointed me) and second of all because I preferred to trust of a well known brand. In any case I saved a lot of money compared also to other parcel shipping services and far more if compared to a removal company. I must say that was a good value for money. Next time I would like to try also a cheaper and slower option if I will be presented with such solution. It couldn't have been a better experience. Three very large and heavy boxes from the UK to Italy in just three working days. Excellent: more expensive than some, but worth it. Italy is about food, art, good weather and style. British businesses however have an interest in Italian companies and customers as well. The online sales platforms had a great impact on the sales volume and parcels shipped from UK to Italy. Courierpoint is keen to provide British businesses with the best and cheapest rates for shipments to this destination. We can keep our prices competitive thanks to our bulk buying discounts from international branded couriers such as: FedEx, TNT and DHL. Moreover, all the shipments can be tracked online and have to be signed for at the delivery address so the sender can be sure the shipment was properly delivered. Our services to Italy are door to door; your parcels or packets will be collected, routed and delivered by one of the largest International courier services in the world. At each stage of your shipments journey parcels are scanned and this information is updated in real time to our web-site. So, clients can type into our web-site tracking screen and get instant information on the status of any shipment sent. We also can send an optional email to the receiver so that they know the parcel number of your shipment and they can also track the delivery of their parcel. The price starts from £19.09 +VAT with 1 working day guide transit time. 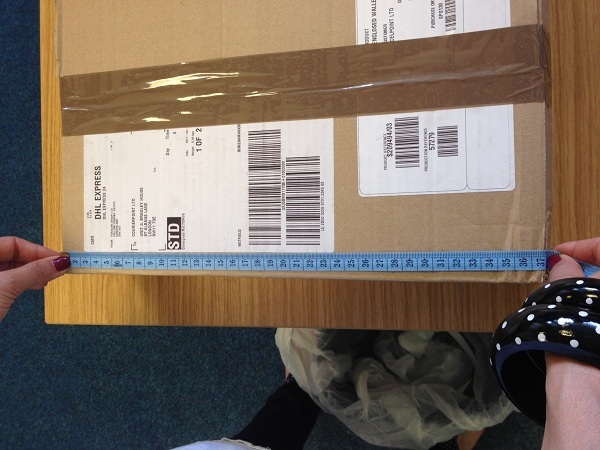 Our services however do not limit our customers to 20kg parcels. 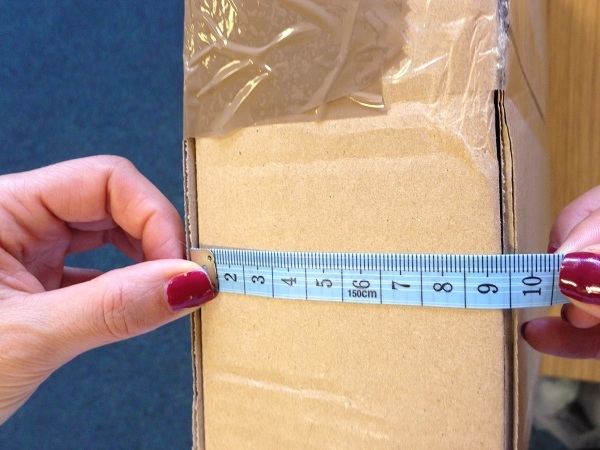 We can send packages with the weight up to 65kg per parcel on our standard services, or up to 1000 kg on our special services.No matter the weight and the size of your parcels, all travel with trusted carriers and are fully trackable. Courierpoint can also take care of the delivery of your suitcases to Italy if you are moving or planning to travel. Our luggage shipping services are perfect if you want to avoid the airline extra charges for additional luggage. We provide with a full shipping pack for free which includes all the required paperwork and label holders for your suitcases. If you have to ship documents, parcels, suitcases or pallets from Italy to UK we can help you with the imports as well. You can choose between an economy or express service depending on your budget and on the urgency of the shipment. You can easily send a pallet with us and our great customer service team will help you with that. 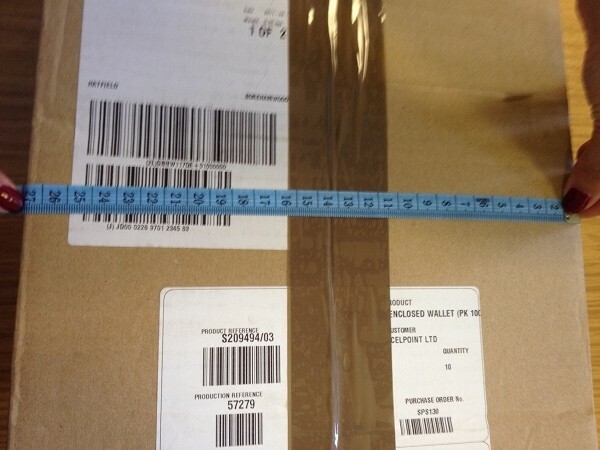 All you need is to know the weight and dimensions so we can provide you with the most suitable quote for your pallet. The pallet can be sent on an economy or express service and you can track it all the way to the delivery point. Moving to a different country can be both challenging and pricey. Courierpoint can help you with making this a less stressful and less expensive experience. Make sure you pack all your items very well in cardboard boxes with bubble wrap as to ensure a safe journey and let us take care of collecting the boxes from your home address and deliver them to Italy. Courierpoint's commercial customers have the opportunity to open an account with us which will ensure they get the best prices for shipping documents, parcels and pallets to any area in Italy. The account holders have the possibility to create shipment profiles which will enable a quick and easy journey through placing the orders on our website. We provide with air and road services for your parcels and pallets shipped to Italy. Our couriers are ready to collect your freight from your commercial address on any working day. If you are in doubt of the best service for your shipments you can always get in touch with us and our experienced customer service team will help you with your queries. As you are sending internationally and the journey time is longer than for a domestic shipment, we recommend that all sender use additional packaging inside their boxes. If the contents of a shipment are damaged, the carriers will only accept a claim for damage if the parcel has been damaged on the outside and that they can see pictures of this damage and pictures of the internal packaging. We make sure all this information is clearly explained on our web-site and by telling clients how it is, we have built up an excellent level of trust. In fact, before you send a parcel with Courierpoint.com we would like you to look at some of our reviews. We are very proud that we have a five-star rating from our clients; please see a select of reviews for our parcel to delivery services to Italy. With the increase in online sales and the world-wide market places that Amazon and eBay have become, British retailers are now supplying their products direct to Italian buyers. It is not usually the mass-produced products that buyers will see in all hyper-markets and high streets around the world. But the small handmade arts and craft type products that buyers are searching for. An example is the handmade cable knitwear from Scotland that gets sold to clients throughout the world looking for specialist items. Also, the UK has a high-tech manufacturing business that supplies the world with some niche-patented products, such as radar equipment for the large super yachts manufactured in Italian boat yards. Whatever the product is that you want to sell, and then have delivered into Italy we can help. - The transit time which is longer for any economy service and quicker for express services due to the fact that the shipments travel by air and not by road.The express service for documents to main citieslikes Rome, Turin and Milan is delivered within one working day or usually within two working days if it is a remote area. - The area in Italy the shipment goes to. Each carrier has their own area postcode classification; hence some addresses would be categorized as remote areas hence the price is higher. Using our quick quote button on the website and your shipment weight and dimensions you can quickly check the best services and rates for your parcels. You can now easily ship your personal possessions to Italy from UK or the other way around. Our experienced couriers will take care of your items from the collection point all the way to the destination. Each customer is also able to track their own shipment online at any time on our company website or on our couriers' websites. If you are planning to ship a small parcel or a letter and you cannot wait for the driver to collect it, we have a special drop off service which allows our customer to drop off the parcels at the closest point to their home or office address. All you have to do is make sure your parcel is ready packed and you have the label and drop off point instructions printed out.